Russian MPs propose to authorize police to down drone aircrafts in certain cases | Russian Legal Information Agency (RAPSI). MOSCOW, January 30 (RAPSI) – State Duma lawmakers have drafted a bill authorizing law enforcement bodies to down drones or reject their joystick signals in cases of their illegal location in air area. 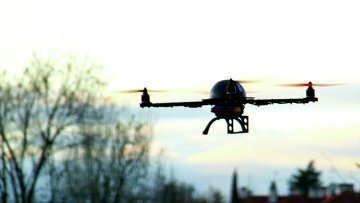 In particular, police would be entitled to down unmanned aerial vehicles if they are flying in air area near public events venues and their border territories, the bill reads. Police would be obliged to report these measures to the National Guard and events’ organizers. Russia’s National Guard, Federal Guard Service and Federal Security Service would be authorized to regulate the use of unmanned aerial vehicles to protect citizens. The bill will be submitted to the lower house of parliament soon, according to the State Duma committee on security and combating corruption.